Hey, I'm in the marine DEP and leave for boot in about 6-7 months time. I need to be able to run a sub 18 minute 3 mile to get a perfect physical fitness test score. I've been running for a few weeks now but just started to run consistently for about 1 week. At the beginning ran it in 26 minutes and in about 3 weeks I got it down to 24:30. Even before I finished the run my right lower leg began to act up. I took 1 day off and ran again this time at a faster clip at a 8 min per mile pace and the pain was so bad I stopped after about a mile and a half. It wasn't a sharp pain but a dull aching pain. I'm afraid I have shin splints. But it doesn't hurt to walk. I don't know. My question is do you think I'm increasing my pace to quickly and my legs aren't strong enough or used to it? My second question is in order to train to run this sub 18 min 5k will running long distances like 5 to 8 miles at slow paces like 9 min mile pace will naturally help me increase my 5k pace or should I continue to push the pace on my 3 mile and not run long distance. I'm afraid my shin splints will get worse though if I were to do that? Or should I do both? Also will weight lifting help my legs while running? If so what kind of lifts? Thanks for reading this I look forward to hearing what you have to say. The great thing is that you have got a lot of time till April. This should allow for a really solid preparation. As you have discovered, fast running does increase the risk of running injuries. Doing those 3 milers over and over again at the fastest pace possible is not the best strategy. Because you have time, there is no reason to hurry things. You are asking all the right questions. There is definitely a lot of benefit in running longer, slower runs first. This will help you build your base, also see my page about base running. I would recommend you do those types of runs predominantly for the next 6-8 weeks or so. 3-4 running sessions per week consistently should see you boost up your mileage over that time. Also see my increasing mileage safely-page. After that period of base building, replace some of those easy runs with tempo running and interval running. A solid base due to those longer slower runs combined with speedier stuff closer towards your physical test will get you to improve that 3 mile time. A good book that adds all those elements together is Daniels Running Formula. 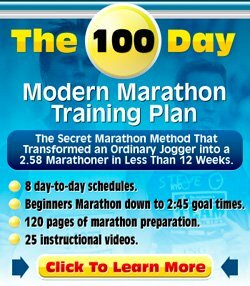 In this book you will also find training plan templates for your 5k run. Last with regards to weight lifting. I think there is a place for weights and body weight exercises in a running program. Bulky arms will not help you get faster. But being a bit leaner and stronger does help I think and they say that a strong core helps you maintain form and that in turn helps you be faster. For me personally, I have got a weak back and when the running goes up and I don't do any core strength exercises I always get back pains. So do things like planks, push ups, ab exercises, etc to help your running or if you insist on using weights focus on high rep lower weight exercises that help you build strength without bulking up too much. Best of luck and let me know how you go in your test!